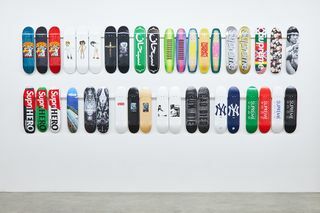 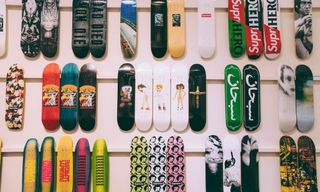 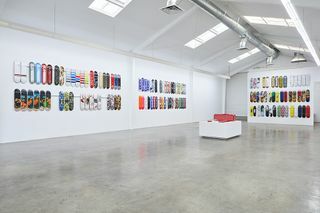 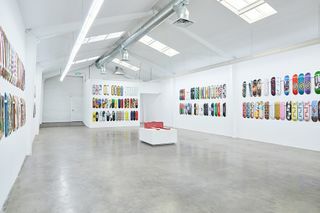 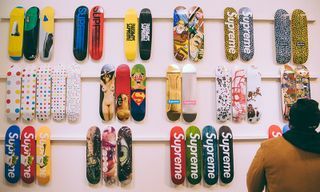 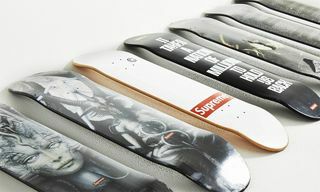 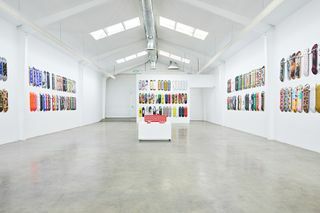 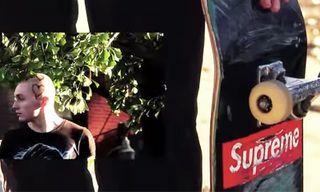 The Jason Vass Gallery in downtown Los Angeles will soon be hosting a new exhibition featuring a complete archive of Supreme skate decks. 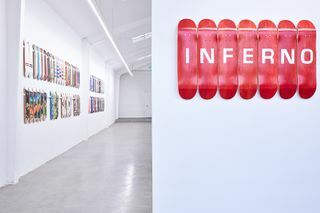 Dubbed Inferno, the installation is slated to open on December 2 and run through December 15. 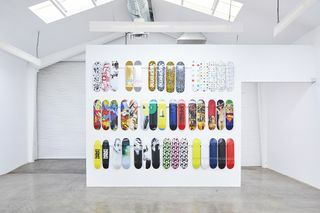 The skate deck collection comes courtesy of Ryan Fuller, the sole owner and collector of every deck from the past 20 years. 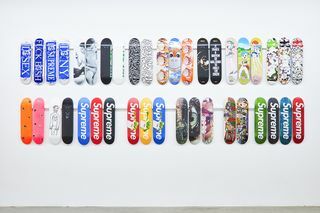 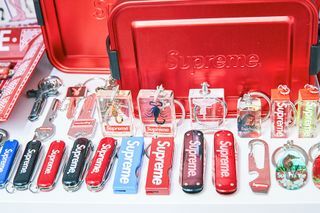 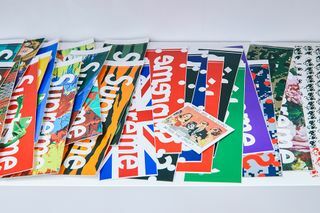 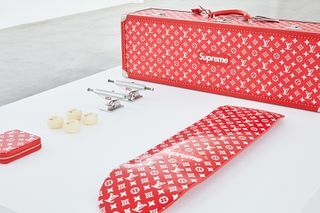 In addition, co-host Yukio Takahashi presents his expansive arsenal of Supreme accessories. 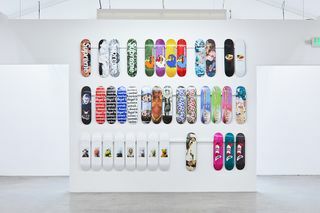 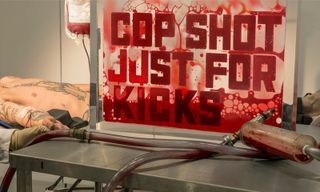 The exhibit is curated by gallery owner Jason Vass and entrepreneur/Brotherhood Founder Christion Lennon. 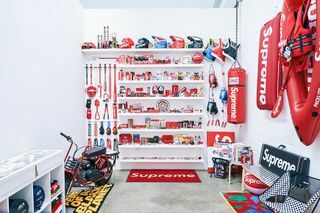 Guests will have the opportunity to purchase from the Supreme collection, authenticated by StockX, which is valued at over $2 million. 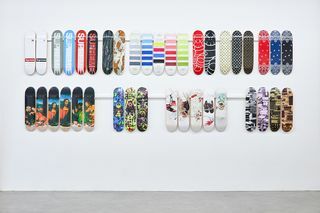 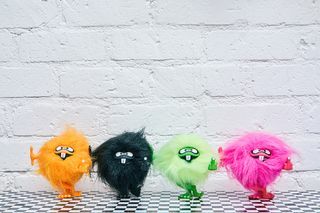 In other news, KAWS has teased a new “CLEAN SLATE” Companion figure.